Point and shoot cameras are very popular with most casual photographers due to their simplicity and ease of use. One of the major benefits of these cameras is that photographers don't have to worry about getting a bunch of lenses to get the shots they're looking for. Most have zoom lenses that have a reasonably wide focal range, which allows them to get lots of great images from near or far. 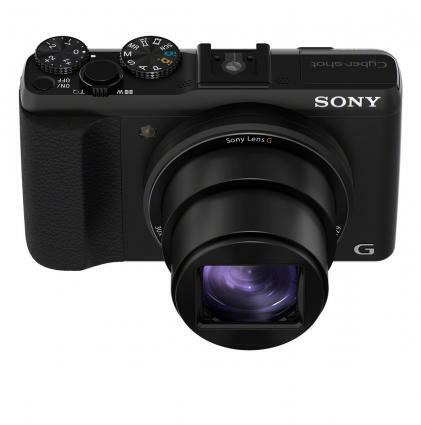 When looking for the best zoom point and shoot camera there are a lot of great options to choose from. These cameras are all of great quality and have excellent zoom lenses. They vary significantly in terms of price, but their quality is uniformly good and they are all excellent options for casual photographers. 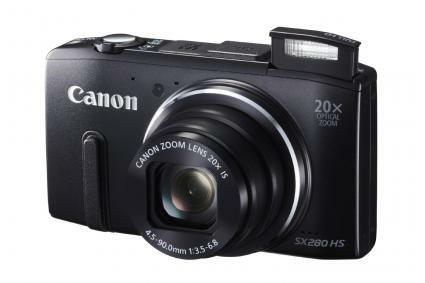 The Canon PowerShot SX280 is a popular point and shoot camera with a 20x optical zoom lens. Unlike many other similar cameras on the market, Canon makes its own lenses for its cameras. The lens equipped on this PowerShot is no exception and it comes with Canon's excellent image stabilization capabilities. The Canon Powershot SX280 also has WiFi connectivity, so you can easily transfer pictures and even remotely control your camera through certain third party applications. Its zoom capabilities and overall performance helped to convince the reviewers over at CNet.com that the SX280 is Canon's top compact zoom point and shoot. You can pick up this model for under $300. The PowerShot A2300 is perhaps the most "budget conscious" of the best zoom point and shoots on the market. It's generally easy to find for less than $100, making it an excellent value considering the amount of features you get. This Canon has a dedicated 5x optical zoom, making it a perfect choice for vacation photos and taking out with you for a night on the town. It has a dedicated movie button which can record at a maximum resolution of 720p. It also uses a system that Canon refers to as "Smart Auto," which allows the camera to pick from 32 preset shooting situations to help get you the best image no matter what environment you're shooting in. PCMag.com reviewers give the camera a "good" rating, noting that it's a fairly fast camera and that the lens helps to take really sharp pictures. The Sony Cyber-shot DSC-HX50V has an excellent 30x zoom lens affixed to the front of it that takes sharp photos. It comes equipped with a 20.4 megapixel sensor on a sensor size that is big enough to allow for lower image noise than other point and shoot cameras with similar sensor resolutions. It also has a built-in GPS, dedicated video mode, and it uses Sony's proprietary triple-axis SuperSteady Shot image stabilization technology. For the $450 price tag, the DSC-HX50V offers quite a lot in the way of performance and image quality. CNet editors gave it four out of five stars in their review, citing its exceptional image quality, long zoom range, and customization features. With a full one inch sensor, the Sony Cyber-shot DSC-RX100 has one of the largest sensors of any point and shoot camera on the market. With a 3.6x zoom lens manufactured by lens legend Carl Zeiss, this Sony model is capable of some amazing shots that other sensors simply can't equal. Due to its larger sensor, the 20.2 megapixels crammed onto the sensor plane are able to capture more light and produce less image noise at higher ISO ranges. The camera also offers full 1080p movie mode with total manual control, the ability to shoot JPEG or RAW images, and excellent optical image stabilization. Reviewers at CNet.com give it a rating of four out of five stars, noting that the camera is one of the top performers on the point and shoot market. Yet the $650 price may be too much for some consumers. 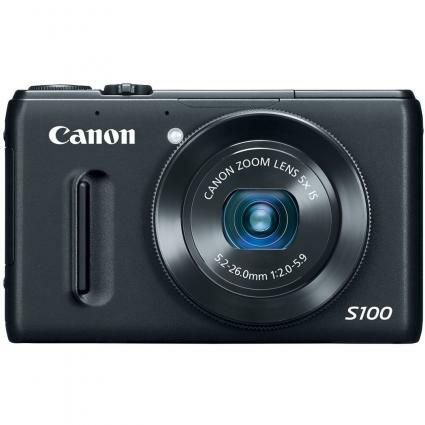 The Canon Powershot S100 is an excellent all-around point and shoot with a great mixture of decent zoom range and high-quality features for a decent price, which is about $300. It sports Canon's DIGIC 5 processor and has a 5x optical zoom lens that utilizes best-in-class image stabilization technology. The on-chip noise canceling system helps to increase the range of ISO values at which you can get a decent, usable image. The S100 was developed out of a demand from knowledgeable, "enthusiast" photographers for a decent compact "pocket" camera that would perform well as a backup to DSLR cameras. For this, DPReview.com states that the camera is an excellent option for people who want the best possible image quality out of a zoom camera that can be slipped into a shirt pocket. The Fujifilm X20 is a moderately priced zoom point and shoot camera that offers an immense amount of control while still not being too overwhelming for casual photographers. It comes equipped with a zoom lens that has a 28-112mm equivalent focal range, meaning you have a lot of latitude when framing your shots. It uses phase detection autofocus to provide fast focusing on moving objects, RAW image shooting, in-camera RAW processing, focus-peaking in the rear LCD and a lens aberration optimizer built in to help keep chromatic aberrations down to a minimum. 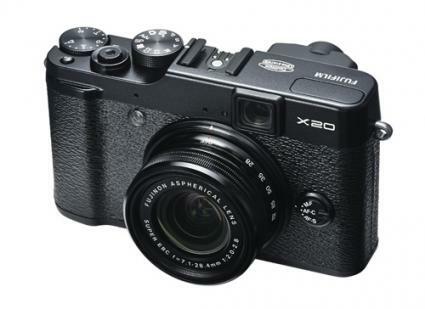 Tech Hive gave the Fujifilm X20 a rating of four out of five stars. The reviewer stated that the ease of use, image quality and manual controls were all great aspects of the camera. It retails for around $600. The Cyber-shot DSC-WX300 is designed to be a lower-mid range zoom point and shoot that offers the benefits of some more expensive cameras while keeping costs lower. This Cyber-shot model sells for just over $300. The 20x optical zoom is excellent for a wide range of situations, and Sony's proprietary image stabilization technologies are an excellent addition. Among other important features in this camera are the full-HD video capture, WiFi capabilities, and the exceptionally fast 10 frame per second drive mode. All of these features come together to make the DSC-WX300 an excellent point and shoot for beginners or advanced users. PhotographyBlog.com gave this Cyber-shot camera four out of five stars because of its sleek design, ease of use and excellent picture quality even when compared with higher-end cameras. These days camera technology is expanding by leaps and bounds on a nearly daily basis. Due to the speed with which these innovations are brought to market, there is absolutely no shortage of options for people who want to find the best zoom point and shoot camera. All it takes is a little research to find a camera that fits within your skill level, that provides what you need, and that is within your budget.